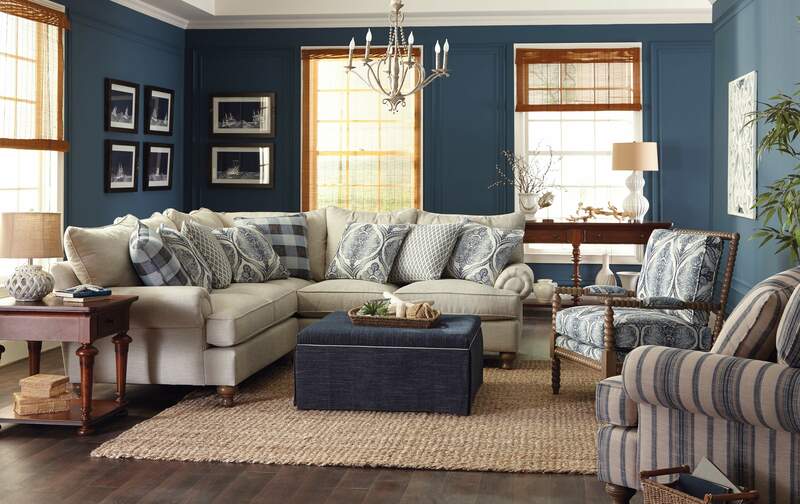 This casual sectional from the Paula Deen Home collection, is one of our favorites, and a best seller too. It's easy to see why! For starters, it's generous in scale and features an armload of pillows to curl up and relax on. The loose pillow backs, roll arms, and turned wood legs give it a laid back, casual look that Paula is so proud of it also features her exclusive Down Blend cushions that wrap you in comfort from the first moment, but will last for years. This style has several pieces available to create a size and shape to fit most any space. Also available are the matching sofa, loveseat, chair 1/2, ottoman.